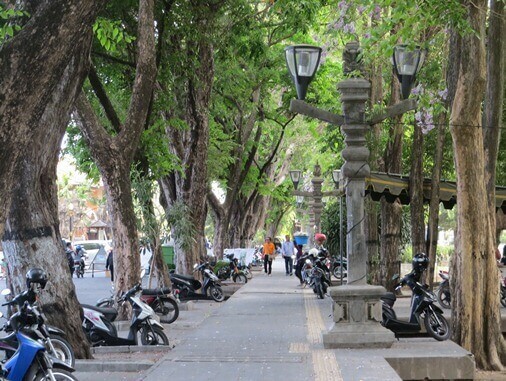 Puputan Badung Square is located in west side of Jagatnatha Temple Denpasar and Bali Museum. Based on the decision letter of the Walikota Denpasar dated 10 September 2009 set a change in name of "Lapangan Puputan Badung" to be "Lapangan Puputan Badung I Gusti Ngurah Made Agung". Puputan is refers to Balinese term that means a mass ritual to die honorably (the way of Kshatriya) rather than surrender to invaders. It also means end of a kingdom because the king, his family, woman, babies and his man decide to commit the rite of Puputan. 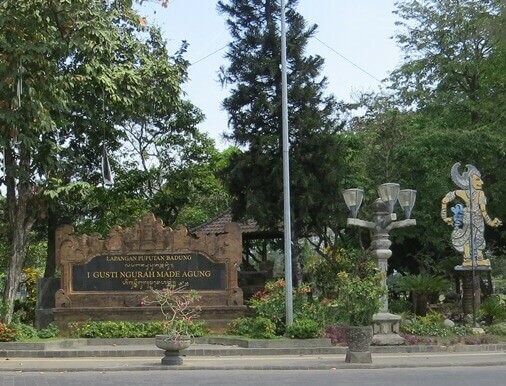 The Puputan square in Denpasar commemorates the last battle between the King of Badung I Gusti Ngurah Made Agung and the Dutch army in 1906. I Gusti Ngurah Made Agung is a central figure in the heroic events Puputan Badung in 1906 against the Dutch. He is the king of Badung VII who ruled in 1902-1906. 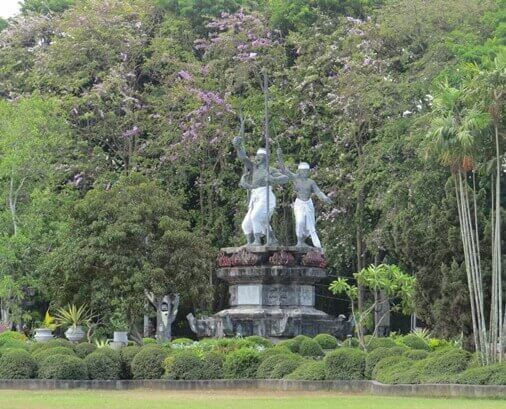 Nowadays, Puputan field turn into a green open space and the main city square completed with public facilities. 1. Jagatnatha Temple Bali Denpasar.